Near Breckenridge, Colorado, purple flowers called Sky Pilot fill the meadows along a trail that leads to Upper Crystal Lake. Crystal peak is one of Colorado’s 13ers, coming in at 13,852. 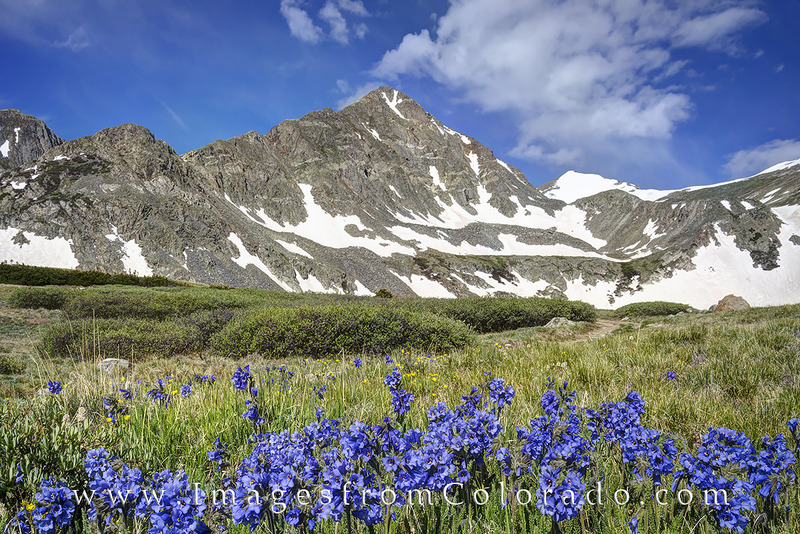 This image of wildflowers witht the peak in the background was taken at about 12,000 feet. Photo © copyright by Rob Greebon.